As promised my step by step of the altered book I made to start our new year of challenges is now up at A Vintage Journey. 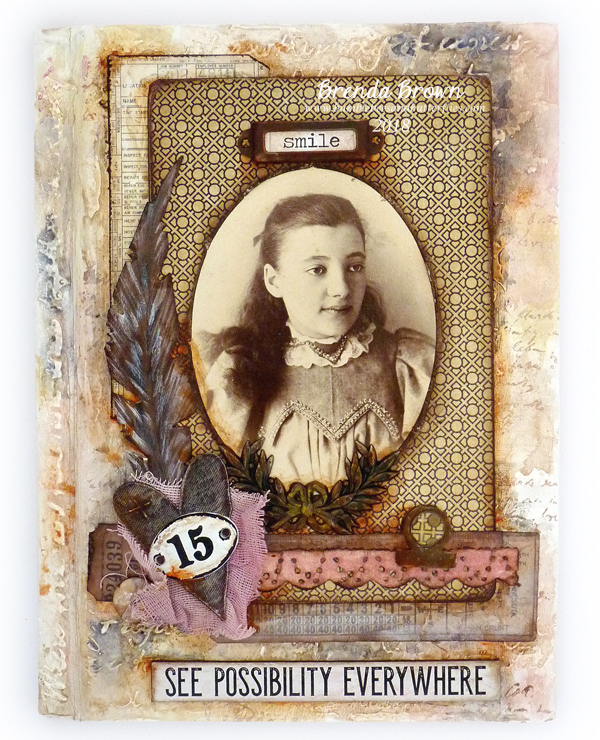 You will see how I prepared this cover and how the embellishments and finishing touches pulled the vintage collage together. To see my original post and my 'Treasure' that triggered this project for this month's challenge click here. I have already created the first pages in this book so keep an eye here on my blog in May when I will link to the DecoArt Mixed Media blog when the project goes live. Thanks for being a reader and supporter of my blog, I do read all your comments and really appreciate them. Have a great weekend and hopefully enjoy some crafting time of your own. This is so beautiful! I am loving these 'treasure' that you have shared. You are doing them justice! Lovely! I left you some love on A Vintage Journey for this fabulous step by step post! What a great post and a lovely design! Hugs! It was lovely to see how this all came together, great process pictures and details. It's a fabulous cover and I'm looking forward to seen the insides.